The UK’s energy minister has strongly reaffirmed the government’s commitment to the seismic activity standards that have frustrated attempts to frack for shale gas, according to a letter obtained by Unearthed via freedom of information. 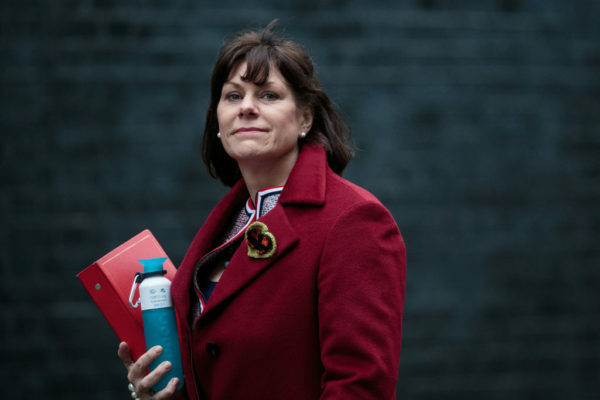 In correspondence to Cuadrilla boss Francis Egan last November, Claire Perry backed the traffic-lights-system Egan had publicly criticised, describing it as “fit for purpose” and saying the government “has no intention of altering it” — tougher language than previously used. The letter, delivered in response to an interview Egan had given in which he said the rules were ‘strangling’ industry and called for them to be relaxed, implicitly criticised Cuadrilla for failing to raise its concerns before it started fracking. The traffic light system, which requires fracking to be paused in the event of any tremor exceeding 0.5ml on the richter scale, has emerged as the bane of the UK’s nascent fracking industry. Cuadrilla’s operations in Lancashire late last year triggered dozens of tremors, almost all of them imperceptible at the surface, which on several occasions forced it to stop drilling. A 1.5ml quake in mid-December was felt by several people in the area. Cuadrilla and INEOS have both called for the standards to be weakened, but the government’s position appears to have hardened since Unearthed revealed in October that Perry was considering the prospect of revising the rules in the future. A Cuadrilla spokesperson told Unearthed: ”We’re obviously aware of the letter which was received in November and the government’s position on the traffic light system.